Step3. 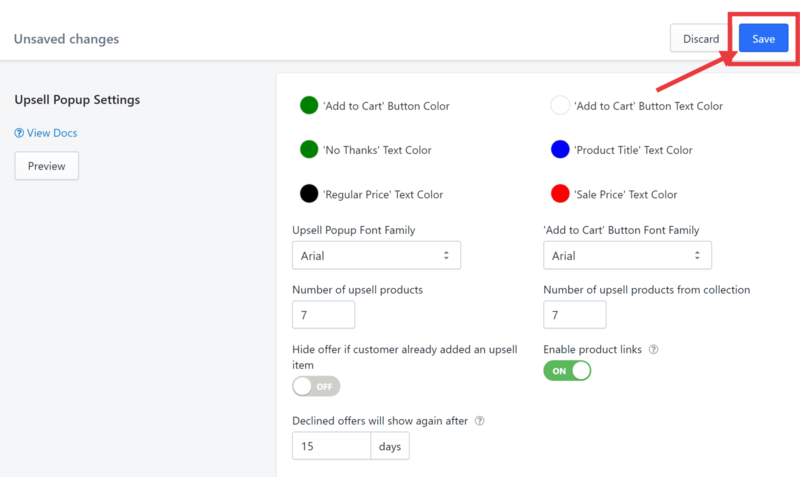 Choose the colors that you want for the different areas in the popups such as the Add to Cart button, Add to Cart button text, No Thanks text, Product Title text, Regular Price text, and Sale Price text. Step4. Choose fonts. In this example, we choose Arial. Step5. 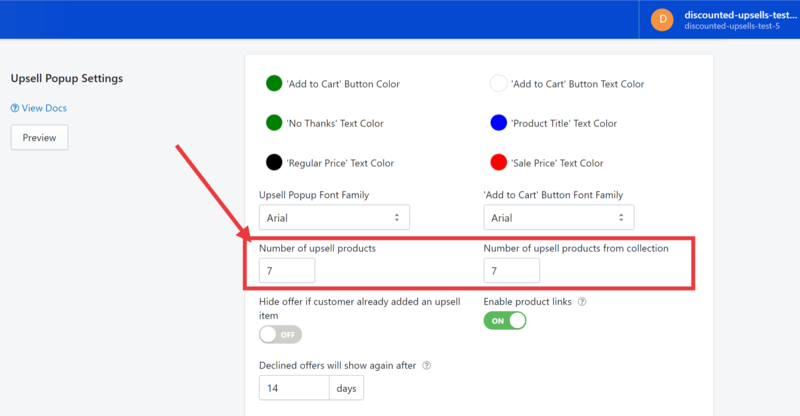 (Optional) Enter the preferred number of products or products from collection. Your upsell popup should now look like this. If you still need further assistance, feel free to click Contact Us below.